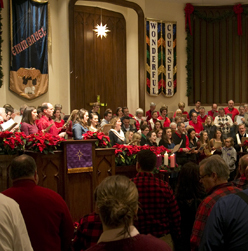 First Baptist Church of Marion invites you to worship Christ the Lord on Christmas Eve, December 24th, as we celebrate His coming. 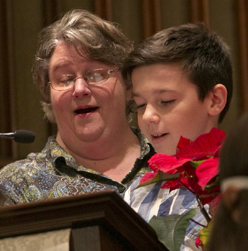 Sunday morning at 10:00 a.m. – “From Heaven Above” Family Service. 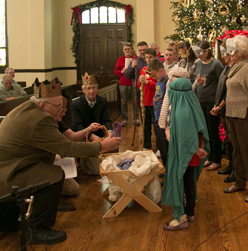 No Sunday School this morning but a unique, interactive service that is designed to include worshippers of all ages in narrative readings, spontaneous drama, carol singing, and communion, with special focus on a Christmas hymn written by the great reformer Martin Luther. 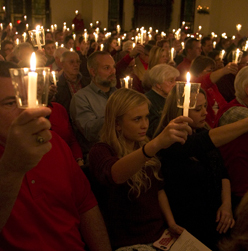 Sunday evening at 6 p.m. – Candlelight Christmas Eve Service. 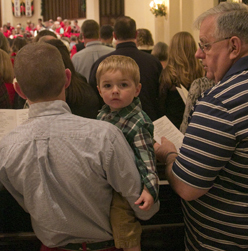 It’s one of the best attended services of the year so come early to get a good seat! 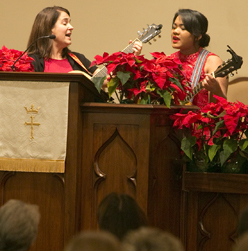 Bring your friends and family as we celebrate Christ’s birth with traditional carols and anthems and experience the powerful singing of Silent Night by candlelight.